From a landlords market to a tenants market in just over one year. Those changing market conditions downtown Calgary caused by the low price of oil reducing demand for office space can be seen through these data visualizations from Altus InSite. This 15-month time lapse highlights the number of available options for office space, distinguishing head lease and sublease space options as blue and green, respectively. Sublease space (office space leased from an existing tenant who has a direct lease with the landlord) is first to enter the market as large energy tenants look to reduce costs by shrinking their occupied real estate and "subleasing" floors or partial areas of floors in buildings they occupy. 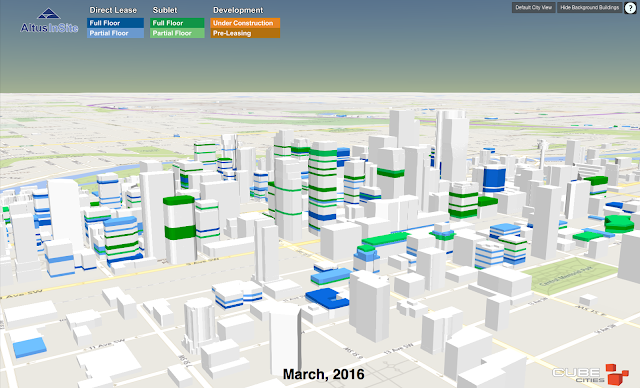 This 3D visualization of Calgary's office market is interactive and can be explored on Altus InSite's 3D View for Canadian office markets. 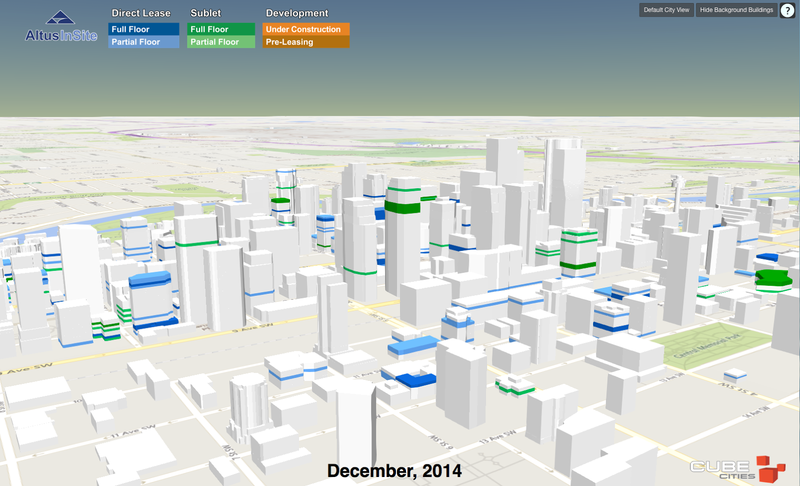 The increase in available office space downtown Calgary over 15 months. 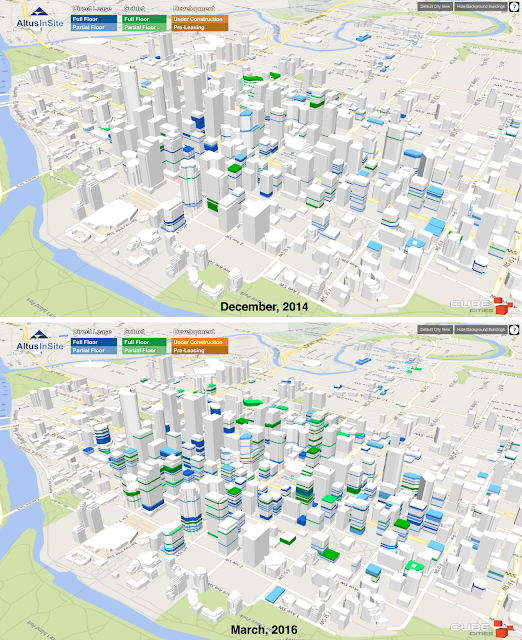 The same time period shown from another angle on downtown Calgary.